RWA Psychology provides Relationship Counselling services to couples and families in the Hills and Hornsby Shire’s of Sydney. You walk into a restaurant and notice a couple seated near you. Nothing is unusual about them except that you notice they are not really enjoying this opportunity to be together. Both are absorbed by their respective mobile phones. The same phenomenon happens with iPads, e-readers and iPods. Technology is now so commonplace that most of us are barely aware of how our behaviour is changing and how our relationships are being affected. There are a multitude of electronic devices that distract people from important others in their lives including those who might be sitting right in front of them. Instead of communicating with their partners and family members face to face, more and more individuals spend an alarming amount of time using mobile applications and electronic devices. Many people even take their devices to bed with them. It all begs the question: is society’s obsession with smartphones and other kinds of modern technology eroding the quality of our personal relationships? It’s not that technology is inherently bad. Far from it—it helps us connect with people in many helpful ways. Phones help us stay connected with our family members and friends if we don’t live in the same state or if we travel a lot, phones help us keep in touch. A good luck text as you’re about to sit an exam or a photo text from a friend saying, “Having a great time…wish you were here” are all good ways to build and maintain relationships despite physical boundaries. So, the problem isn’t in our smart phones. The problem is with us, because electronic devices distract us from living in the moment. Real relationships require real conversation, real engagement and real emotion. When we text, e-mail, Facebook, and the like, we lose a vital piece of relationships: the emotional connection. So how do we disconnect from all the information around us and reconnect with loved ones for good old-fashioned conversation? Here are some tips for taking time out from your technology to forge better relationships. 1. No devices at the dinner table. Dinner time should be reserved for face-to-face conversation. There will be plenty of time after dinner to reply to phone calls and text messages. Do not use your phone when out at restaurants especially on date nights. Turn it to silent mode or better still, turn it off before you enter the restaurant. 3. No texting or talking about really important personal issues over the phone. This should be done face-to-face, unless it is something that can’t wait. 4. Love the one you’re with. When you’re with others, make them (not your device) the focus of your attention. 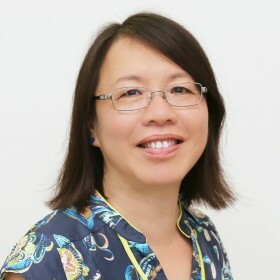 May Soo is a psychologist who has a particular interest and passion in relationship counselling.